(BREITBART) — MEXICO CITY — The staff of the weekly newspaper Riodoce normally meets on Wednesdays to review its plans for coverage of the most recent mayhem wrought in Sinaloa state by organized crime, corrupt officials and ceaseless drug wars. But on this day, in the shadow of their own tragedy, they’ve come together to talk about security. The longest list, by far, is enemies. 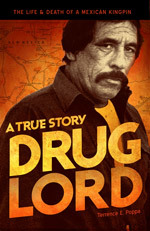 There are drug traffickers, politicians, business people, journalists suspected of being on the payroll of the government or the cartels, a catalog of villains who make the job of covering Mexico’s chaos perilous. There is no respite from the violence, and as bodies pile up across the country, more and more of them are journalists: at least 25 since President Enrique Pena Nieto took office in December 2012, according to the Committee to Protect Journalists, with at least seven dead in seven states so far this year. A total of 589 have been placed under federal protection after attacks and threats.